Head to the junction of Kingsway and Sardinia Street. Look up! LSE Archivist Sue Donnelly introduces Square the Block by Richard Wilson. 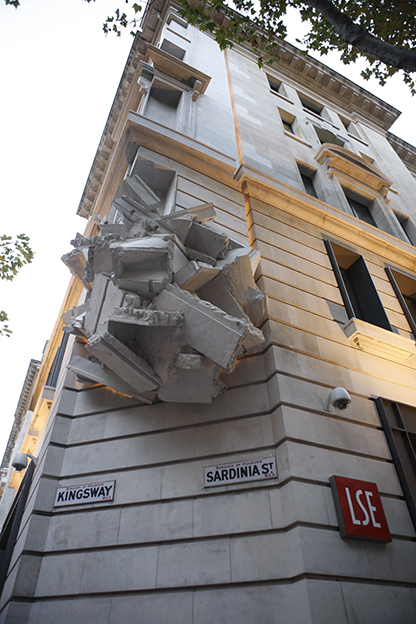 If you walk down Kingsway from Holborn Station to the Aldwych you may be slightly taken aback when you glance at the corner of the New Academic Building facing Sardinia Street and Kingsway. While the top of the building looks solid at the base a giant hand or a local earthquake has scrunched the base upwards leaving it to hang in the air. Square the Block was commissioned in 2006 and was part of transforming the former Office of Public Trustee and Lunacy Commissioner into LSE’s first academic building on Lincoln’s Inn Fields. The School worked with the Contemporary Art Society to develop the commission and faculty and students were involved in the short listing and selection of the artist. 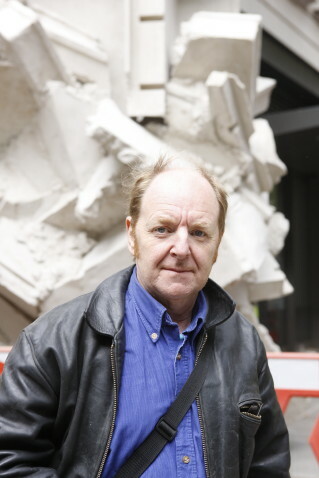 The artist selected was the sculptor Richard Wilson (b 1953). Wilson was born in Islington and studied at London College of Printing, Hornsey College of Art, and Reading University. His first solo show was in 1976 at the Coracle Press Gallery. He has been nominated twice for the Turner Prize. Wilson was an ideal choice for the project as his work focuses on investigating architectural spaces and ideas of volume, space and perception. For the 2008 Liverpool Biennale he produced the dramatic Turning the Place Over in which a circular chunk of a derelict office block façade pivots and revolves. 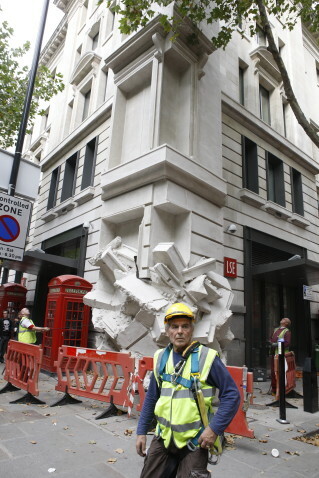 In September 2009 visitors to Kingsway watched the corner being craned into place leaving the original chamfered corner at the base and pedestrians able to walk beneath the mass of rubble. Square the Block was unveiled on 14 September immediately making a significant contribution to public art in London and pedestrians continue to avoid walking beneath the suspended “rubble”.